Route 66 has a place in all car enthusiasts mind as the place to hit the open road and discover America. 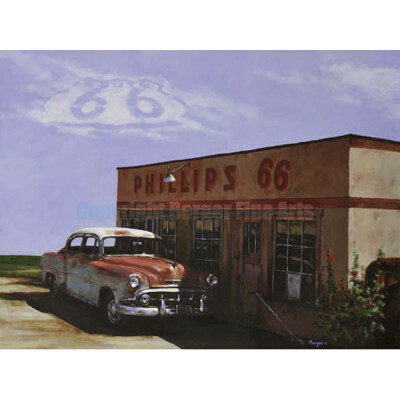 The times have changed and the open road has changed too. 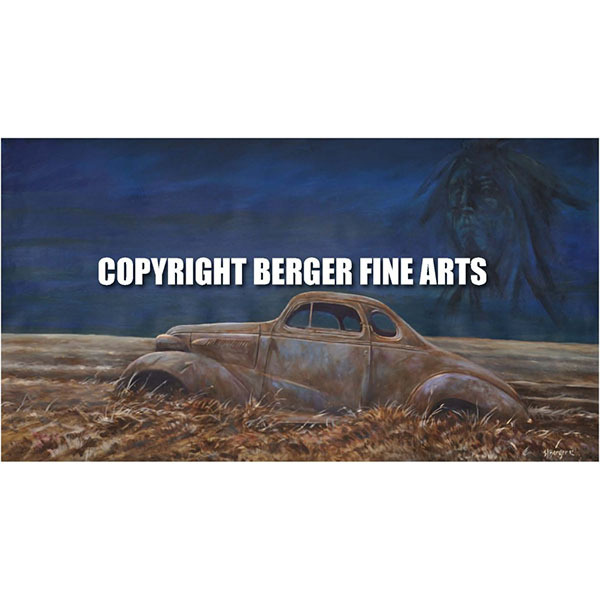 This art reflects the changing times of a past that was wide open road. 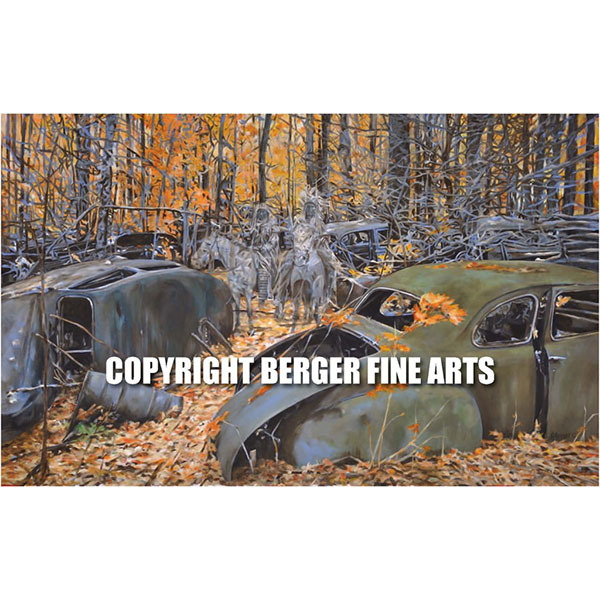 Whenever I am walking through the woods and find an abandoned car or worse a group of them it is unsettling. This scene shows a place that has multiple abandoned vehicles. 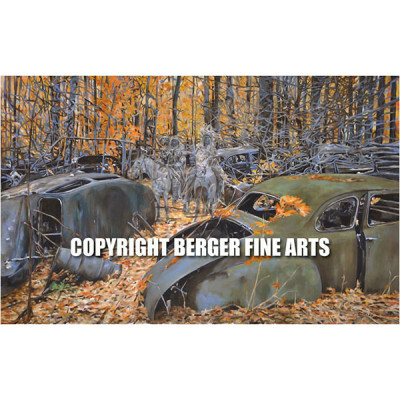 It looks almost like a graveyard. I hope it conveys that same type of feeling to you. 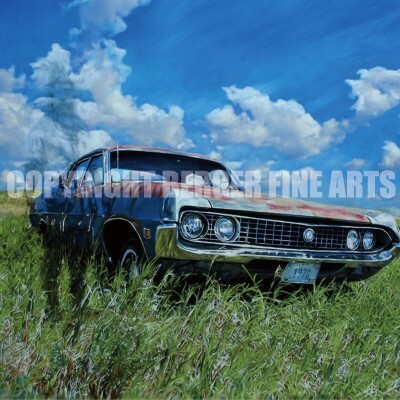 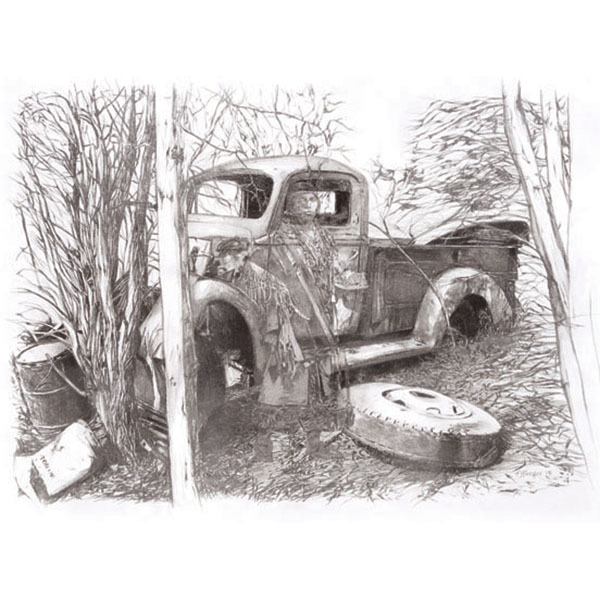 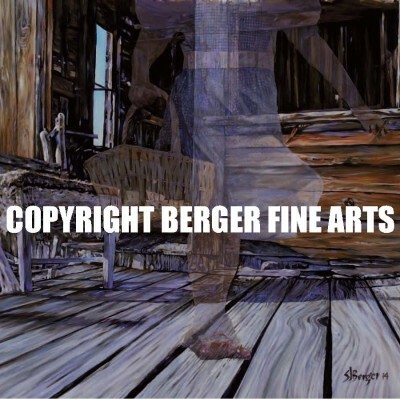 This 22″ x 26″ archival quality Giclee print is signed and ready to frame. This 24″ x 36″ archival quality Giclee print is signed and ready to frame. 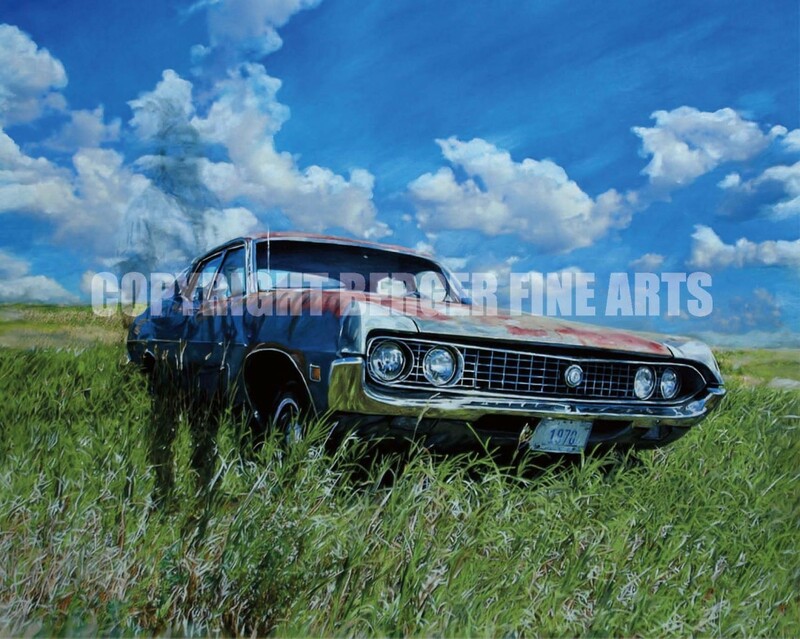 This 24″ x 38″ archival quality Giclee print is signed and ready to frame. 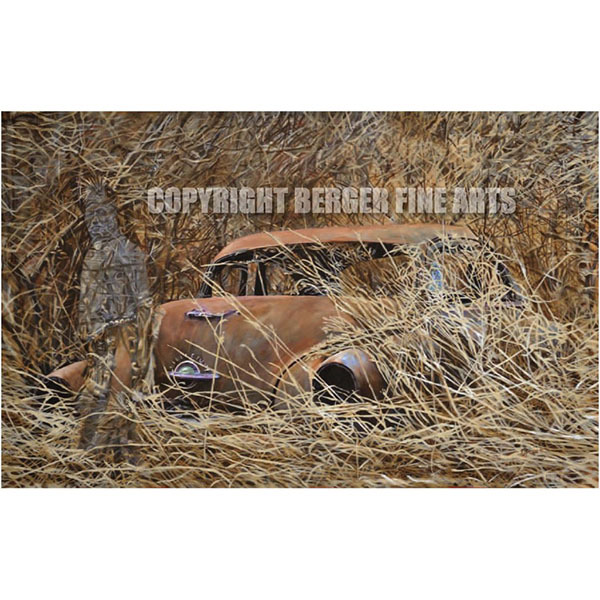 This painting offers a different view of a rusted relic. 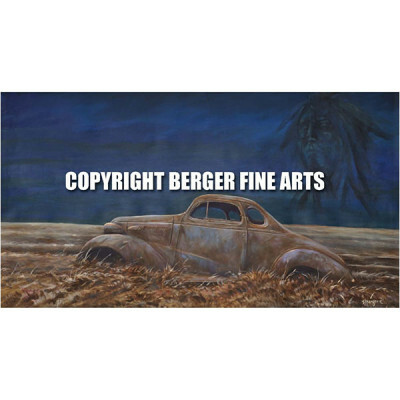 That could an ocean in the background or horizon or something else. 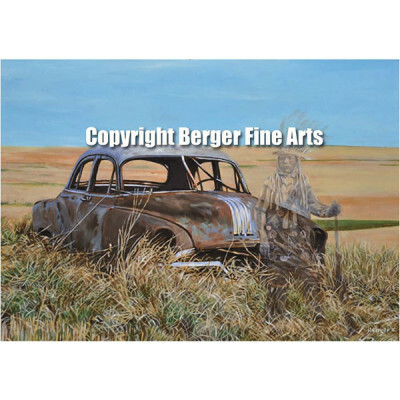 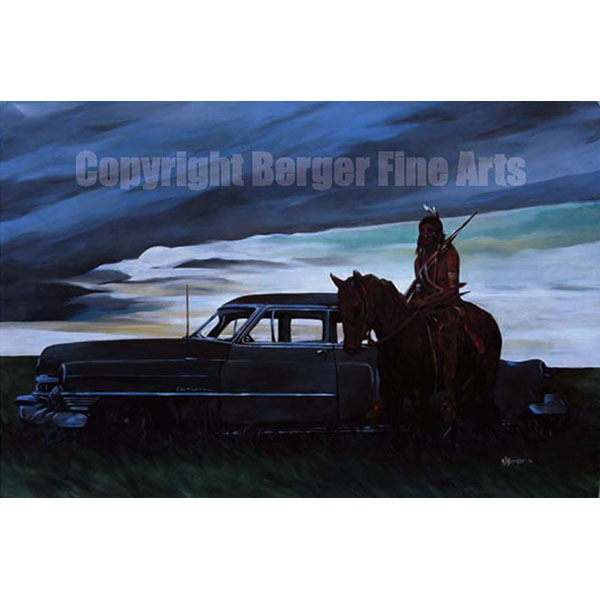 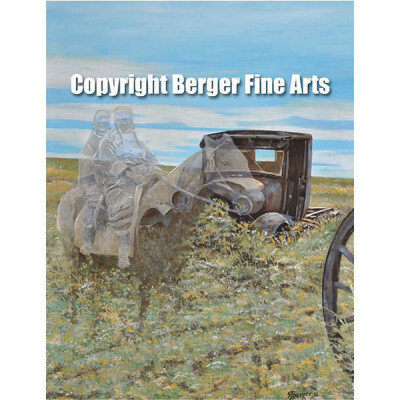 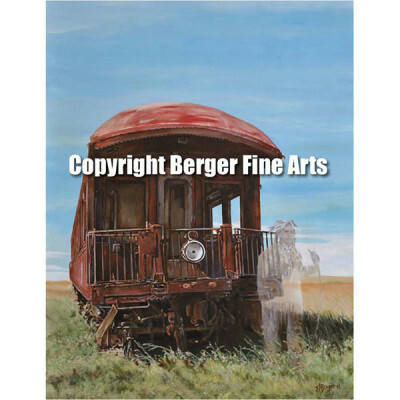 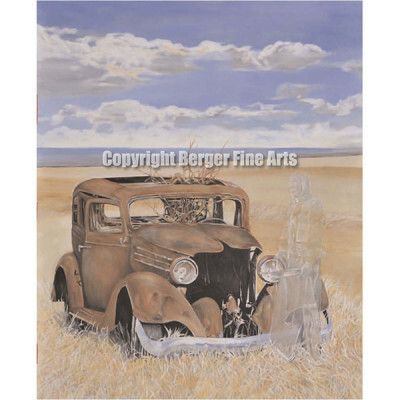 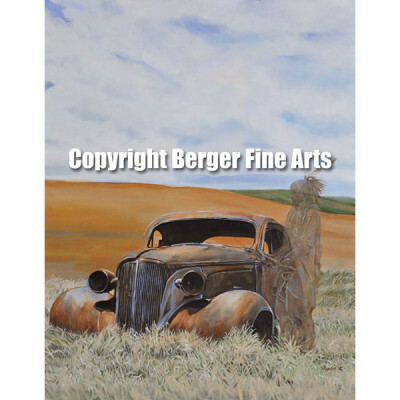 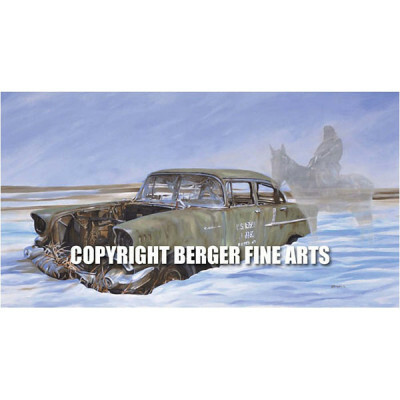 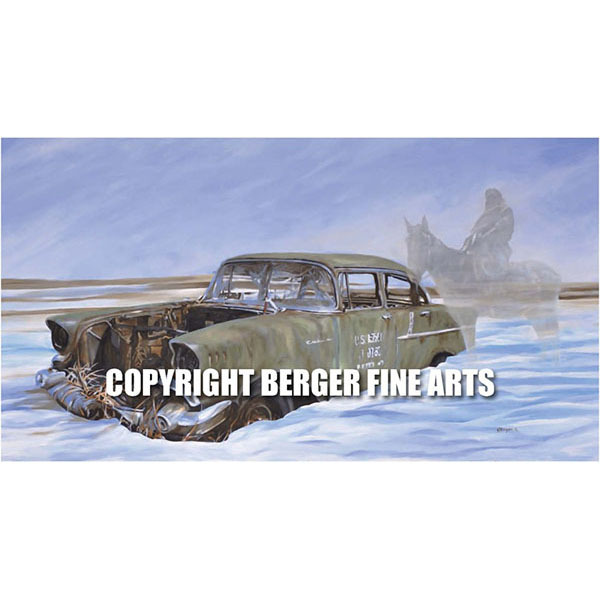 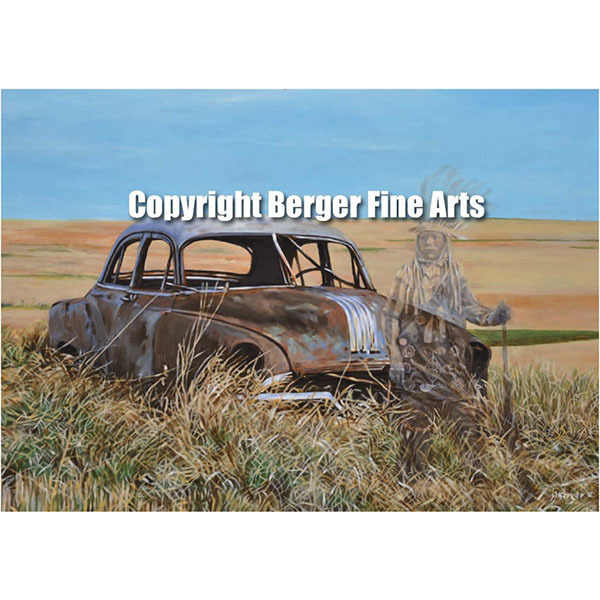 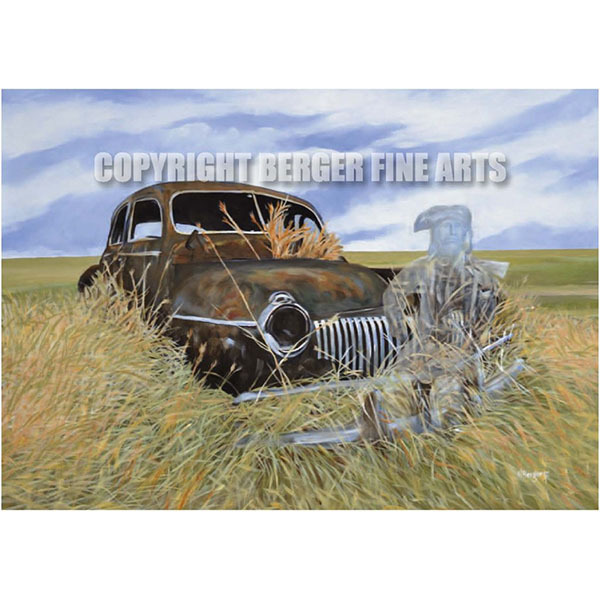 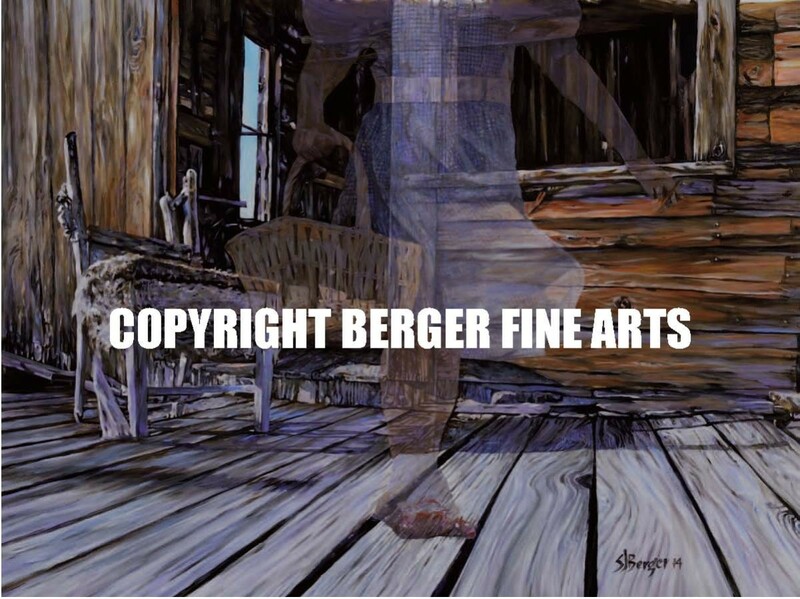 This signed print is another haunting image from “The Ghost On The Prairie” series and is printed on an acid free museum grade paper and is ready for your frame.